Away seeks to bring thoughtful and functional luggage design to the masses. 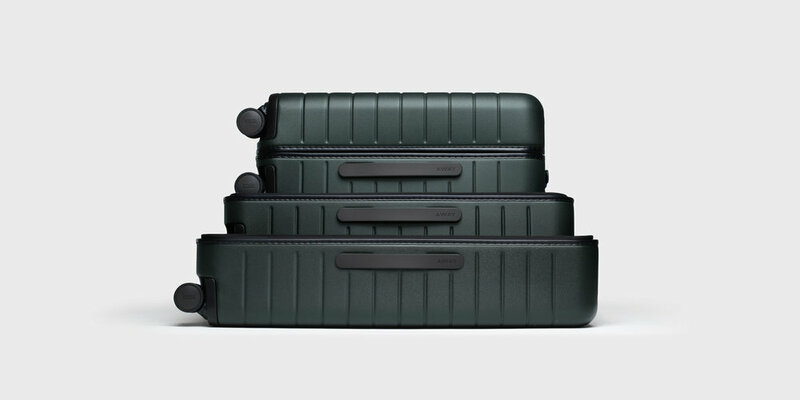 With finishes and details associated with premium luggage brands, their direct-to-consumer retail strategy enables a price point more accessible to travelers who should be focusing on the excitement of the experiences ahead of them, rather than on the expense of a suitcase. Box Clever worked as industrial design partners to enhance and perfect design details at every opportunity. The proportions of the luggage are maximized to meet restrictions of major airlines, while the hard shell is built from super lightweight 100% Makrolon polycarbonate and is designed to maintain a balance of durability and aesthetics. The team created discreet USB housing for the carry-on's built-in battery, which allows the terminals to be accessed quickly to charge devices on-the-go, and to be covered securely so the power ports stay protected. The interior includes a roll-up, removable laundry bag providing an extra layer of user-friendly functionality that means you don’t need to worry about packing that wet swimsuit before you catch your flight home. The carry-on was designed to reveal elegant and purposeful details. Japanese Hinomoto 360 degree spinner wheels, TSA approved locks, YKK zippers, were all specifically reviewed and selected to elevate the overall minimal aesthetic and seamless user experience.